NAVITEL® releases a software update for its hybrid device. Navitel Navigator version 9.10 is already available to the users. The latest updated introduces a significant revision of the notification algorithm for approaching speed cameras, high-risk road sections and service points. 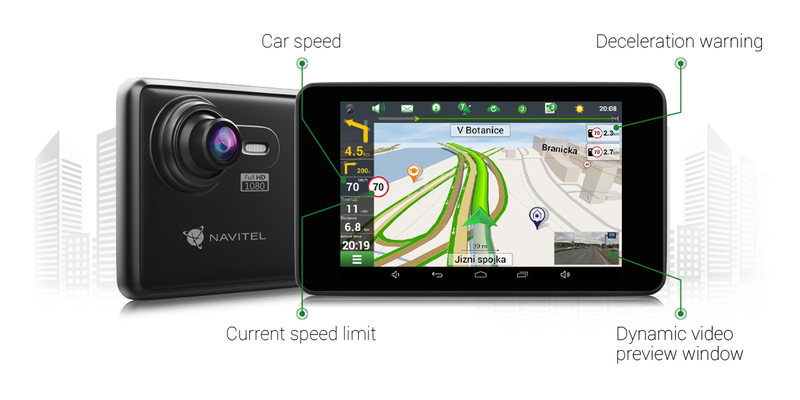 When activating navigation on NAVITEL RE900 FULL HD the driver receives visible notifications with a countdown to the closest camera, hazardous area or a service point. While following a route the notifications panel shows a list of closest driving regulations and their remoteness. The updated software includes an extensive list of traffic enforcement cameras (14 types), potentially risky zones (9 types) and service stations (7 types). The notifications are displayed on the right side of the display provided that "Navigator" is in the active mode. The large-scale revision of Navitel Navigator aims to inform users more prominently, which will increase the safety of maneuvering. 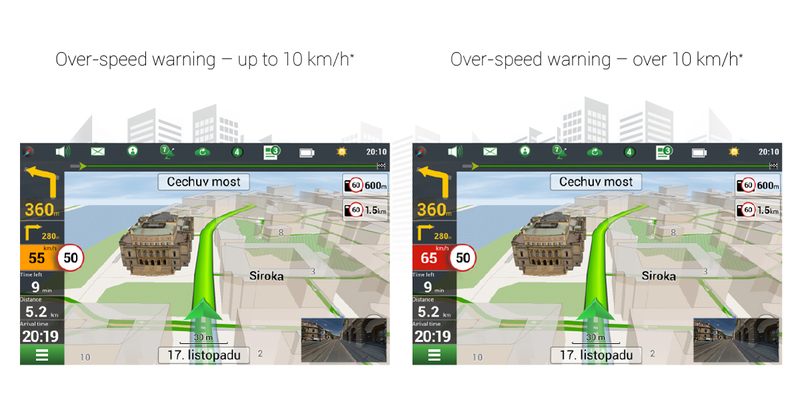 The driver gets timely notifications about speed regulations, camera type, control direction, as well as other useful information along the route. Allowed speed limit on the road segment is displayed inside a red circle, on the right side of the current car speed. When the car is exceeding the authorised speed, the software sends visible notifications to the driver– orange colour block for up to 10 km/h overspeeding, the red one for over 10 km/h overspeeding*. The users of NAVITEL RE900 FULL HD can update their devices by connecting to a Wi-Fi or a mobile. In order to install the update follow the instructions. NAVITEL RE900 FULL HD is a unique 2-in-1 device, which combines car DVR functionality with GPS navigation characteristics. One of the key features of the device is that it allows for simultaneous use of its two modes – "Navigator" and "DVR". The special feature of "extended reality" presents an opportunity to use navigational prompts when recording footage at the same time. When choosing navigation as the main mode DVR appears in a preview window, which could be easily dragged around the screen.